Why Tea Lovers Love Niryas? Tea lovers are very particular about the aroma, flavor, and taste of their favorite beverage. 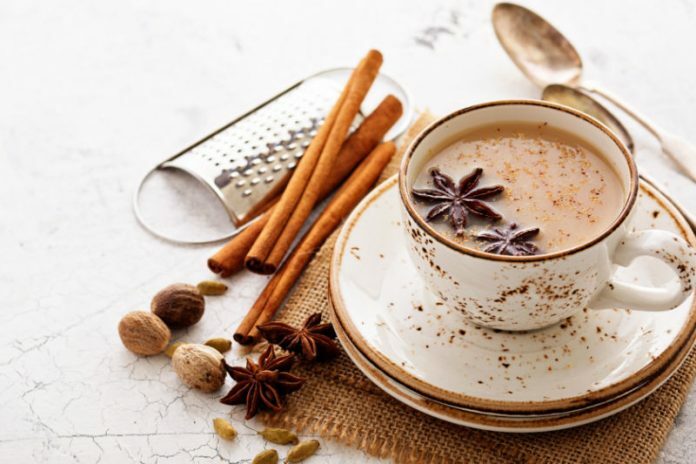 They can identify the slightest of variations in the flavor and taste of tea, which is why they are not satisfied with any of the routine stuff served to them. They know what the perfect cup of tea tastes like and that is exactly what they want every time. 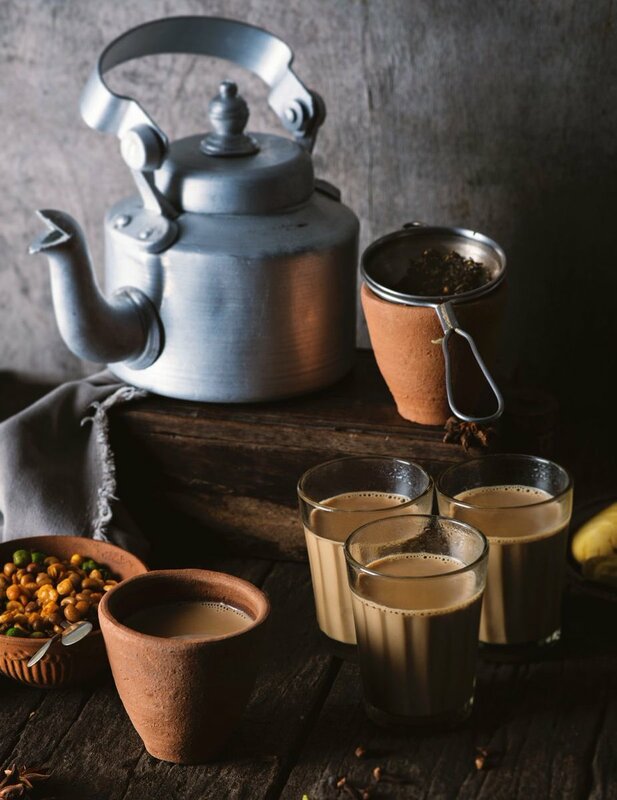 Tea lovers can either be seen at popular tea stalls that serve the refreshing brew or we see them at their homes, where they spend a considerable amount of time in preparing the perfect cup of tea. There are a lot of things that go into making the perfect cup of tea. The type of tea leaves and the type of milk used are among the things that matter most in defining the taste as well as the color, texture, and richness of tea. The preparation method and preparation time are also important factors that determine the taste of tea. While the choice of tea leaves and preparation method may vary, the one thing that most tea lovers prefer to use is good quality milk that is fresh and rich in taste and flavor. A popular choice among tea lovers is Niryas Tea Special milk, which has been specially created to ensure the perfect taste in each cup and every sip. Tea drinkers love Niryas Tea Special milk since they know that using the right milk gives the perfect taste. Niryas Tea Special milk has been specially formulated for making tea, based on years of research and laboratory tests. Inputs and feedback were also sourced from tea lovers and the same has been used to develop Niryas Tea Special milk. With SNF of minimum 9% and a healthy fat content of 1.5%, Niryas Tea Special milk is the right milk for creating the perfect taste in every sip. Another great thing about Niryas Tea Special milk is that it is absolutely fresh and pure, which helps in delivering the perfect taste of tea. Tea drinkers who like their tea to be rich and creamy can use Niryas Tea Special milk directly without the need to add water. Tea lovers can also rest assured about the quality of Niryas Tea Special milk, as it is processed in state-of-the-art Niryas processing plants and hygienically packed in pouches. The combination of great taste, quality, purity, and freshness have made Niryas Tea Special milk a favorite among tea lovers. How to Make Lunch Healthy? Modern, fast-paced lifestyles have led to an increase in the number of cases related to stress, anxiety, lifestyle diseases and other health issues. With people looking for solutions and answers, they have come to realize that nutritious food and regular exercise are a must for optimal health. With information freely available on the internet, people have become a lot more health conscious. An increasing number of people are saying no to junk food, as it is high in calories and harmful for health. People are now more careful about what they eat and are always looking for healthier meal options. An easy way to ensure a healthy meal is to focus on natural food items such as fruits, vegetables, whole grains, lentils, nuts & seeds, dairy products, etc. These foods will fulfill all your nutritional requirements such as carbs, protein, fats, vitamins, and minerals. One of the most healthy food items that you can have every day is curd. You can have curd with any of your meals such as breakfast, lunch or dinner. Curd goes well with a wide variety of food items. You can have it with your snacks or your regular meals at lunch or dinner. Curd works as a taste enhancer and it improves your overall experience of having a meal. Curd offers all the important nutrients such as protein, healthy fats, calcium, phosphorous, thiamine, riboflavin, niacin, folic acid, and vitamin A. These nutrients perform various functions in the human body and are a must for maintaining optimal health. Another great benefit of curd is that it contains probiotics or ‘friendly bacteria’, which help improve gut health. Curd is beneficial for digestion and proper absorption of nutrients. With the friendly bacteria in curd, you also remain protected from diseases and infections of the gastrointestinal system. For optimal health gains, choose good quality curd such as Niryas Dahi. Made with fresh, pure and nutritious milk, Niryas Dahi offers an easy way to maintain a healthy balanced diet. Niryas Dahi is rich in a wide variety of nutrients and it will also enhance the taste of your meals. You will love its rich, creamy texture, which makes for a delightful experience. Niryas Dahi is available in convenient, easy-to-carry cups, which makes it easier to use it at lunch time. If you are looking for a healthy balanced diet, adding Niryas Dahi to your meals would be a great option. Our elders have always talked about the importance of having a healthy breakfast. And now, there’s plenty of scientific evidence as well, which shows the various benefits of having a healthy breakfast. Research studies have revealed that a healthy breakfast boosts our metabolism and keeps us alert and focused. It gives us the energy and the nutrients that we need during the day. It is also helpful in weight loss, as it keeps away the cravings for junk food. For best results, nutritionists recommend that we should have our breakfast within an hour of waking up. The only problem, in terms of breakfast, is that morning is a rush hour for most professionals. On most weekdays, there is an urgency to reach the office, which forces us to skip our breakfast. Even if we eat something, it’s mostly the unhealthy junk food. If you are facing similar issues, its recommended that you opt for healthy breakfast recipes that can be prepared quickly. The rule of thumb is that the recipe should have a good mix of carbohydrates, proteins, vitamins, minerals, healthy fats and fiber. Here are some of the healthy breakfast ideas that are not only nutritious but also taste awesome. This recipe can be prepared using your favorite fruits and nuts. Depending on your preference, you can choose to use either Niryas Milk or Niryas Fresh Dahi for the base. To save time in the morning, you can cut and peel the fruits at night and keep them in the refrigerator. There is no cooking involved in this recipe, so it’s very healthy and can be prepared quickly. 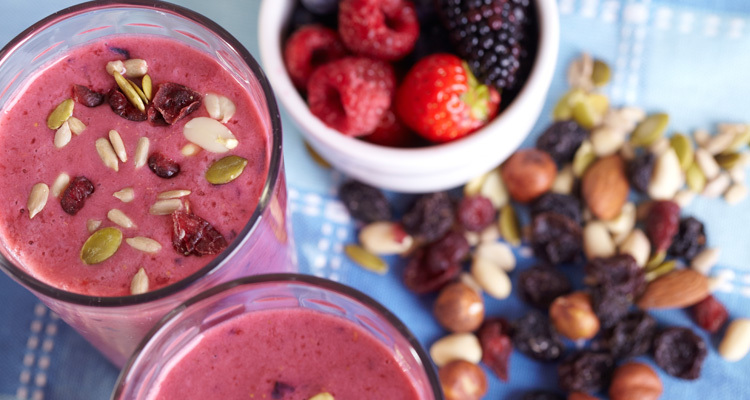 You just need to mix all the ingredients in a blender. Add some honey in case you need more sweetness in the smoothie. Top it up with chunks of your favorite fruits and shredded nuts. This recipe is high in protein and has essential amino acids. Take quinoa, Niryas Milk, water, and chia seeds for the porridge. Combine them in a pot and place on medium to low heat. Add to it, sweetener of choice (raw honey, maple syrup), ground cinnamon and cardamom pods. Bring to a boil and turn down the heat to the minimum. Simmer until cooked, covered, stirring every now and then and making sure it doesn’t stick to the bottom. Once ready, add your favorite toppings and serve warm. Your toppings could be anything from fresh peaches, fresh nectarine, figs, coconut flakes, almonds, to fresh thyme. Even before this recipe is ready, you will know it will taste amazing, because while it slowly simmers away it will fill your kitchen and your house with the most amazing aromas on earth. For this, you will need Niryas Fresh Dahi, gram flour, onion, tomato, and green chili. You can add other seasonings and vegetables, as per your preference. Finely chop the onions, tomato and green chili, and mix it with gram flour and Niryas Fresh Dahi. The mixture should have a running consistently. Add salt, as per your taste. Next, you just need to heat a flat pan and make pancakes with this mixture. There are many more healthy breakfast ideas that you can try. For added fun, you can experiment with some ideas in your free time and create your own healthy breakfast recipes. A breakfast is an essential meal of the day and you should never miss it.